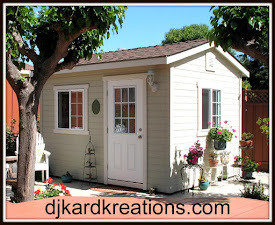 djkardkreations: First Day of Spring and a Birthday! First Day of Spring and a Birthday! Thank you for whooshing your way here to Friday where this part of the world is celebrating the First Day of Spring! It's a pretty day here today, but I know the East Coast is getting snow again! Oof!! Hang in there, people, it will be spring soon because the calendar says it's so. I mean, right? BTW, in additional to the spring equinox, today also brings us a solar eclipse, and a super moon! And if that weren't enough, it is also the birthday of my friend and fellow BABE, Kim Heggins of Cupcakes, Cards, and Kim!! I sent Kim one of my Hammy cards, but I thought she might like this cyber card today. The NBUS embossed side panel which says, "On Your Special Day" is from Darice. The little NBUS vase is Poppy Stamps "Round Vase." And the little heart blossoms are from Impression Obsession "Die 053-M." Oh, and the shadow is from Paper Smooches "Shadows," inked with SU going gray. Very, very CAS and very sweet and purdy in real life, just like Kim! Kim, I hope you enjoy your special day!! I'm looking forward to spending time with you and Harriet on Sunday to continue your celebration! But today, today we all need to head over to our friend Bev's Happy Dance. 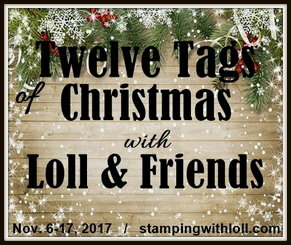 Bev is Blogland's "Hostess with the Mostess" and she is throwing an outrageously fun party for Kim! For my second card, I went even more CASerer! Here you have a NBUS vase cut from the Paper Smooches die "Crystal Clear 3." The sediment is from Hero Arts "Lots of Hugs." This time I did the shadow myself with a gray colored pencil. Swish, swish, done! QACAS! The links will provide you with information on the challenge rules, sponsors, and prizes and with mega inspiration! I'm pickled tink to introduce you to these new friends! Violetta of Violetta's Crafts, "Something Old, Something New." Violetta is from Bulgaria and she has been blogging since 2011. Her 3D cards and exemplary projects will amaze you! Regina of The Creative Corner. Regina has been blogging since 2008! WOW! Regina also makes fun 3D projects and such pretty card art! I really love her passion for this fun hobby! Barb of The Buzz. Barb has been blogging since 2007 from The Hive! After scrapbooking since junior high, Barb started making card art. One thing you'll notice about Barb's cards is that none of them leave The Hive without bling! Barb's wonderful cards range from CAS to multilayered and everything in between, so there is something for everyone! Hammy wants me to thank all of you for your compliments and enthusiasm about his appearance on the last cards! You guys are the BEST!! Thank you for coming by to visit the Playhouse and special thanks to you if you take the time to leave a comment and/or join as a follower! Darnell these are fabulous - love the stunning elegance you have achieved in the simplicity of these cards - so often those are the most difficult to make, but you seem to do it with such ease! It must be Hammy's influence! You make the most lovely cards! They are so simple but make me feel so happy :-P I'm hoping to see the eclipse today, it's supposed to be most visible here at 9:32 am! Fingers crossed! Beautiful cards Darnell! Really love the embossed sentiment! WOW, what a beautiful embossed sentiment, Darnell - love it!! And your fun heart shaped flowers in the lovely vase - so cute!!! I love that small little shadow on the side!!! This is such a stunning CAS card, Darnell and surely your friend is going to love it as much as I do!!!! The second card is as stunning as the first!!! Love the strip on the side and that elegant vase with the one blossom!!! Love the sentiment you've chosen for your card!!! And that swish, swish shadow is perfect!!! Happy friday!! Great cards for your friend ... The embossing is lovely!! Super photo of Hammy too ... Have a lovely day and a super weekend! Oh, what beautiful cards!!! Just love them! Brilliant CAS cards Darnell ! Beautiful CAS cards, Darnell! LOVE LOVE the embossed sentiment! We have a lovely sunny day, after a cloudy start. Cloud meant we didn't see the partial eclipse, but it went dark and the birds fell silent. Very eerie. 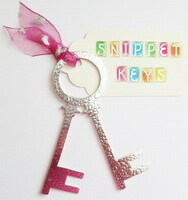 Love the embossed texh and those bold colours look very good on white! Fabulous QACAS cards, Darnell! And thanks for sharing this adorable photo of Hammy! He is so cuddly! Love that picture of Hammy. Are you referreeing to me about Lawn Fawn's sales? Tee hee! I still blame YOU! If I blame myself then Hubby will tell me off! Aww, how fun that you get to have a birthday lunch with Kim! Enjoy! Your card is simply elegant and gorgeous! Love the embossed sentiment! gorgeous cards! Sometimes I feel that the simple cards are the most effective! And for the Spring begin perfect! Your friend will be delighted with this! Hammy is a handsome little guy! Looks like he is full of mischief! Your cards for Kim are so cute. I will pop over and tell her Happy Birthday. Perfect CAS cards - love them! What pretty little floral cards today Darnell!! I'll bet Kim was tickled pink to receive her Hammy card! Speaking of Hammy, what a great shot of the cute little fella!! Enjoy your weekend outing with the girls ~ HUGS to all!! Fabulously CAS cards today Darnell and I think the shadows were the perfect finishing touch. Happy birthday to Kim and hope you all have a great time on Sunday. Wonderful! I do love both of you classy cards. I have always been drawn to clean and simple. Great style! I love those beautiful CAS card designs and adore the beautiful spring colors. Happy Spring to you too! 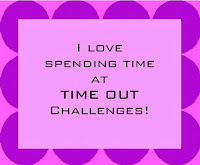 And I forgot to thank you for joining in at Time Out! Beautiful CAS-cards! It's an idea to keep in my mind! Both of these cards prove my theory that simplicity can be BEAUTIFUL!! These cards are elegant and stunning and just so lovely!! 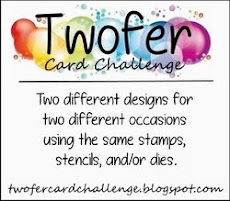 Love them both and am thrilled to see them - I struggle because my cards always seem plain but you have reminded me how amazing simplicity looks!! So excited for KIM's birthday - love her and think she is so sweet!! I am off to join the celebration - I wish you a fabulous weekend!!! Fabulous cards, Darnell! Happy Friday and Spring! :) Have a great weekend! Love both of these, but that vertical embossing is really special! So great to see you at CASology this week, my friend! Yes, we got snow today...and quite a bit! But, spring is on it's way, right? Dear Dranell, I like CAS and I love your cards. :-)) Divine design. And this little shadow is just great. Clean and simple perfection, Darnell. Love the way you used the colours! Thanks for the anniversary wishes too! Hugs! Very stylish CAS cards, I love the embossed sentiment on the first one, and the the bright colours really stand out against the white cards. The little hammy cards in your last post are really cute, I missed that one somehow. Well that kerlipsie thing was a complete damp squib from where we were in little old England. An I got off me sick bed to go and see it too! Lovley to see a piccy of Hammy though so it kinda made up for it. Super ickle flowers and I love your shaddows. hugs Mrs A. Is CASier a real word? Of course it is! I saw it on the internet! I like both your CAS and CASer cards. Very nifty! Fun dies 'n stuff. And yes, we'll do an email/write in campaign (champagne?) to Lawn Fawn to get Hammy a cape. Terrific cards but love the embossing on the first. NBUS challenge 4. . . . .will hold back some of my new craft show purchases to join in. Two fabulous cards Darnell. Very cars and elegant with it. Couldn't see the eclipse here thick cloud so it just got dark! Of course the cloud lifted but much too late! You do CAS beautifully - that's all there is to it! You're my CASQUEENIE!! Even though it is Friday, and I am now finally sitting on my keister at home, all by myself in the quiet that will not last long as the boy and the Mister will be coming back from Karate all riled up soon..... well, This post made me even HAPPIER... if that is possible.. the UBER clean lovely cards, sparkling white and so divinely emboessed... and SQUEEEEEEL to my delight, TWO of my challenges!!!! .....to top it off was when I saw little hammy's thumbs up, I squacked out loud in an embarrasing laugh if anyone one was around to hear it that is....almost beed my pritches! HUGS to YOU lady!!!! PS I adore Kim Heggins too...!!!!!!! PS: Next trip to Hobby Lobby, I am looking for that Darice EF! Miss Darnell...or should I call your Hammy's mom??? You are so sweet and so stinkin' funny too. Your cyber card is just beautiful. Love that pretty vase with the heart posies, just so sweet. And I hear that Hammy needs a cape, I should finish up the wedding dress tomorrow and I will make one for him, just let me know what color he would like. See you real soon. AAAAHHHH, Nothing finer than CAS Perfection! Both your cards Darnell are so sweet and Springtime Beautiful. CAN'T wait until tomorrow...NBUS #4 :-) TFS my friend. Two wonderful cas designs Darnell! love the little heart on the long stem and the cute vases! 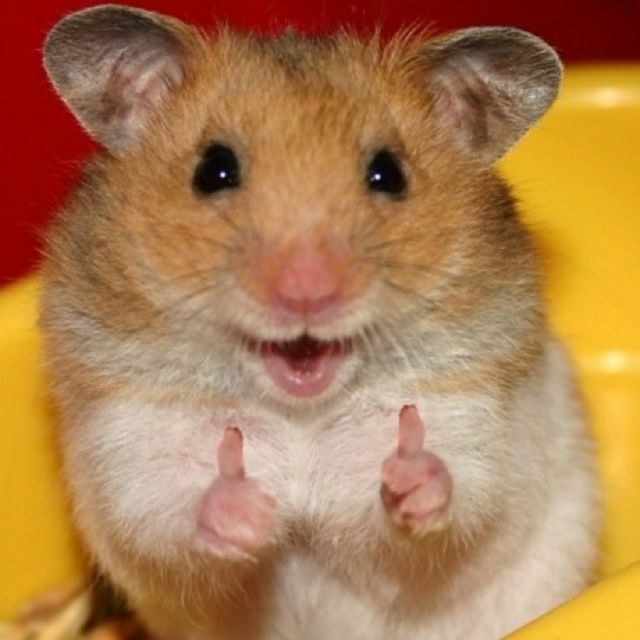 and how sweet it Hammy with his 'thumbs up'! Your CAS cards are wonderful. I love the embossing up the side of the first one. And the trio of red accents on your second card is very eye catching. Thank you for sharing my blog with your readers. I appreciate that. And lastly, I agree that Hammy needs a cape! Both of your cards are CAS perfection and I'm so excited to see you at ATSM this week! I totally agree about the cape for Hammy, how fantastic would it be if they actually created one! Fabulous cards, Darnell! CAS perfection. I think I need to do some CASeing. :) Happy Spring! Yes, it's snowing in NY. Two fabulous cards Dippy, love your new embossing folder, such a handy one for all kinds of occasions. Hope Hammy gets his cape.....either from LF or your own hands! Lovely card for your dear friend Kim. I love the EF. Pray for rain, but enjoy spring. Both your cards are perfectly CAS, perfectly lovely! I really like the colours and the embossed sentiment is super. Thanks so much for playing along with Uniko Studio Challenge this month! Oh, CAS perfection!! A little dash of red and green and plenty of white, what a great color recipe! These are both wonderful. Love the first--so much to say, and no stamping. What a feat. The second one is very pretty also. Great use of die cuts and embossing overall. Thanks so much for playing along at CASology X2 this week. You're so funny! Yes, a cape for Hammie would rock...he'd look sooooo cool and heroic! Love the thumbs-up in the photo! Great CAS cards, Darnell! I really love the look of that first vase--so cool! Wonderful CAS cards, I especially love the sentiment dry embossing on the second one - very subtle touch! Hi Darnell! 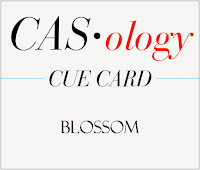 So glad to see three cards in the CASology pool this week...all wonderfully CAS! I love these die cuts, and that vertical embossing folder is very cool...love all that lovely white space! Thanks for playing along with us at CASology! Loving both of these, Darnell! I keep flicking between them trying to choose a favourite but am having trouble. I like the embossed sentiment on the first card but also the tiny perfectly placed sentiment on the second card. I'm also diggin' your perfectly placed little shadows. :) Thanks for playing along with CASology this week! Thanks for joining us again over at CASology!!! These cards may be CAS, but they pack a big punch. Love 'em!